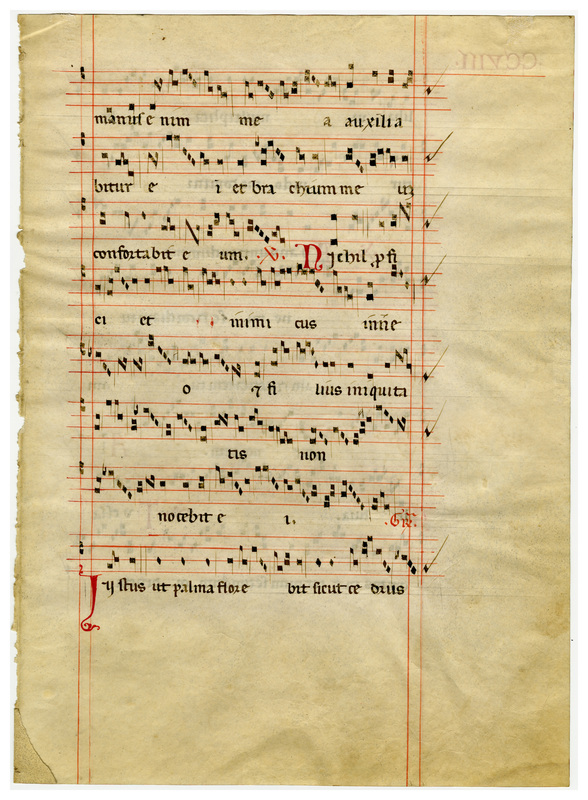 Antiphonal leaf of vellum from the Monastery of San Bartolomeo, Anghiari, Italy. Other leaves from this same source manuscript are owned by the Cleveland Public Library, Lima Public Library, Toledo Museum of Art, and Baylor University. 300 dpi JPEG; 384x279 mm, written area 261x162 mm. 8 four-line staves in red. Rubricated initials only. 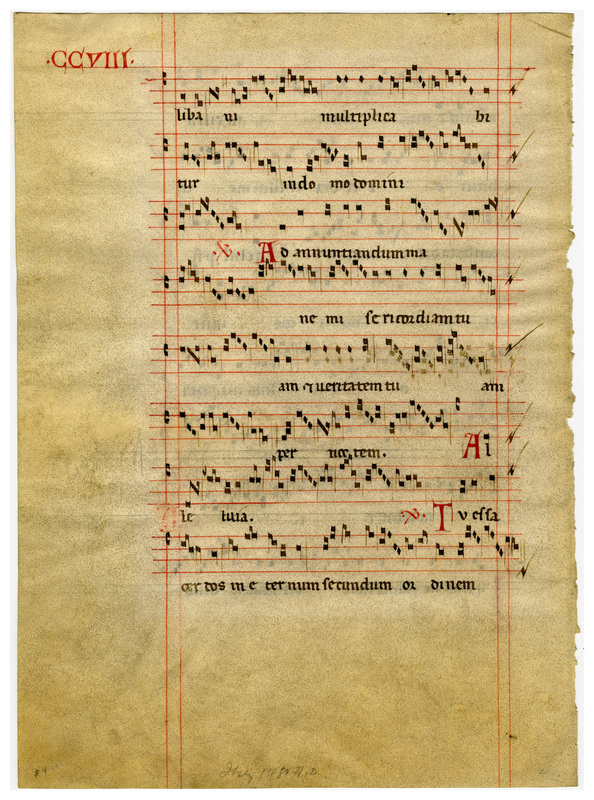 “E0109 Leaf from an Anghiari Gradual,” Digital Exhibits | Denison University Archives & Special Collections, accessed April 23, 2019, http://exhibits.denisonarchives.org/items/show/21.